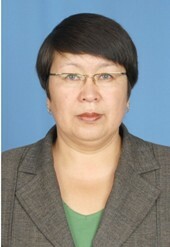 In 1990 she graduated from the Faculty of Mathematics of KarSU named after. E.A. Buketova. Since 1990 Works at the department of “Higher Mathematics” KSTU. Currently, the senior teacher of this department. Published 7 scientific articles, 6 textbooks, 2 guidelines.